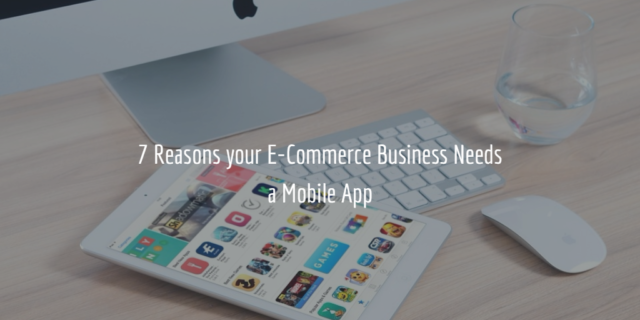 Many business owners wonder why, when their website is already mobile responsive, they should invest time and money in developing their own app. Whilst many businesses have so far got by without one, having an app is going to become standard practice for e-commerce retailers and you don’t want to get left behind. Beyond a sense of keeping up with the competition, an app can provide a lot of valuable extras for you and your customers. From user experience to marketing to sales, a dedicated app can work wonders for your company. And as the technology develops, these opportunities will only expand. Just last year, Criteo’s Q4 Mobile Commerce Report revealed that people shopping using mobile apps browsed 286% more products than regular mobile device shoppers. Not only that, this then led to a 90% higher add-to-basket rate than that experienced on mobile browsers. It seems that the app experience leads users to greater engagement with products and therefore a better conversion rate. When a customer has your app downloaded on their phone, it gives you unprecedented access and ease of communication. You can send them notifications telling them of a flash sale or a new product line, even if they don’t have the app open at the time. This new marketing channel, when used wisely, can really connect with users in a timely and effective fashion. They then have your app at their fingertips if they want to pursue whichever deal you’ve put before them. With an app on their phone, customers don’t have to type in your URL and log in every time they visit your site. Mobile apps already operate much faster than a mobile website. Intuitive apps can even highlight relevant products to each individual customer. This means a convenient, streamlined and personalized user experience for your target market that will encourage sales and repeat custom. Millennials, Generation Z and whatever comes next have been born and raised in a digital world. They don’t retreat to their desktop whenever they need to make an online purchase. Instead, they expect to do all of their internet browsings and buying on their smartphones. An app makes this much easier and helps you to reach out to and engage with a younger demographic. A well-designed app will act as a little pocket ambassador for your brand. It will be visible every time users look at their phones. Building in useful functionality such as collecting rewards from your loyalty program or tracking deliveries will help to cement your brand image and foster brand loyalty. Allowing users to contact customer support through your app can add another level to your customer service. Your app could let customers message a help desk without having to leave your website and head for their email service. In-app support is another great addition to your user experience. When your app is downloaded onto someone’s smartphone, you can access a great volume of detailed customer data. The demographics you perform best within, the most profitable regions, new opportunities and customer requirements can all be captured and analyzed using your app. With this added data, your business will only go from strength to strength. A mobile app is an added extra for your e-commerce business. But this won’t always be the case. Develop your own app now to stay ahead of the curve and start reaping the rewards of a mobile app as soon as you possibly can.